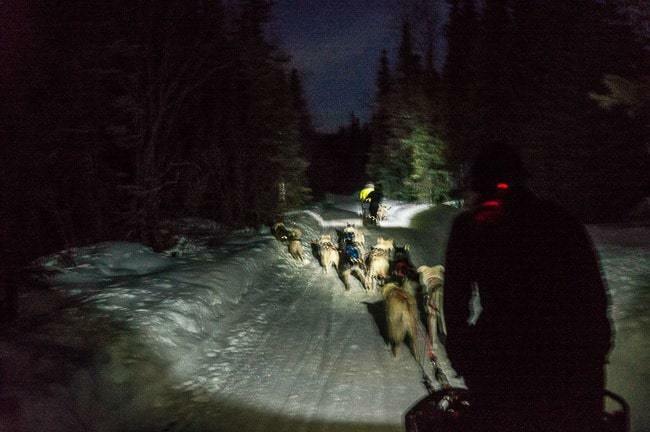 For many years I dreamed about what it would be like to experience Alaska dog sledding at some point in my life. Maybe it was too many Jack London books and film adaptations when I was young or maybe it’s something we all secretly long to do, at least once. 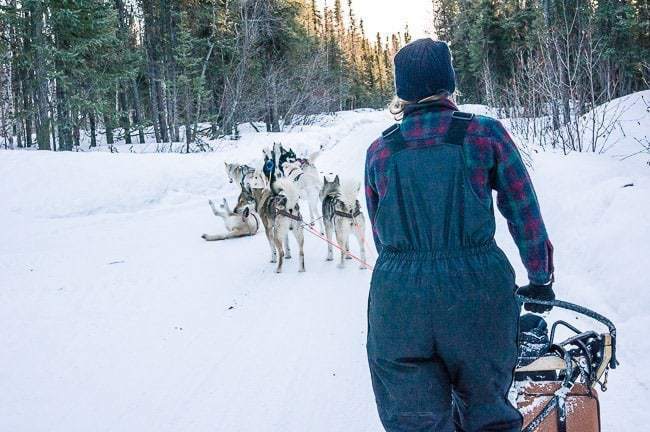 When we were putting together a plan for visiting Fairbanks, Alaska in the winter, in order to see the Northern Lights, I knew that dog sledding in Alaska was an experience that I couldn’t miss out on. 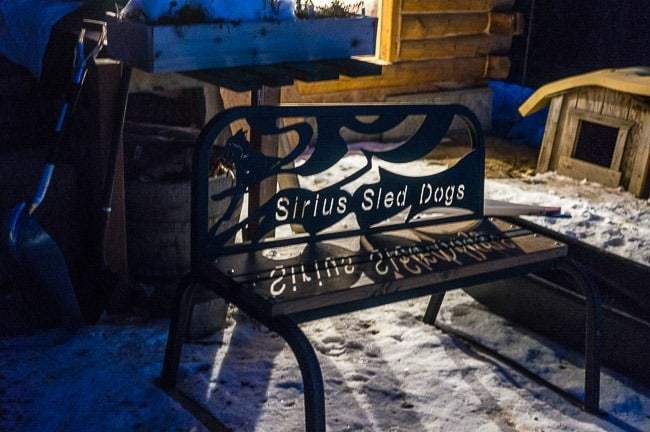 So I reached out to the team at Sirius Sled Dogs on the outskirts of Fairbanks to make my Alaska dog sledding dreams come true. They were more than happy to oblige. 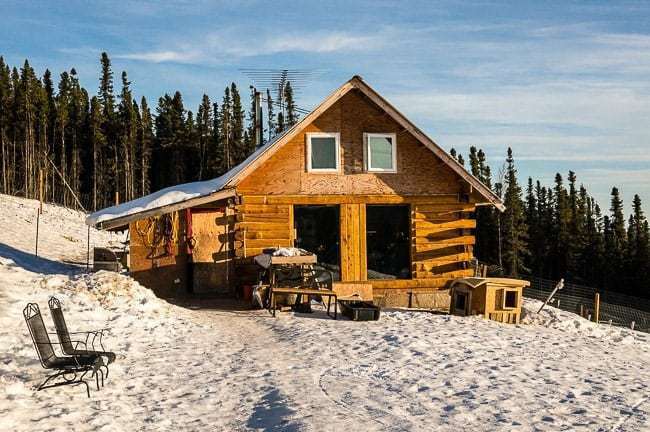 Their property is located about 25 miles outside of Fairbanks near the Murphy Dome, along a beautiful scenic drive. Our rental car managed the snowy roads like a champ and we arrived with no problems. We were instantly taken in with their warmth and hospitality, and enamored with the dogs that were all over the place. 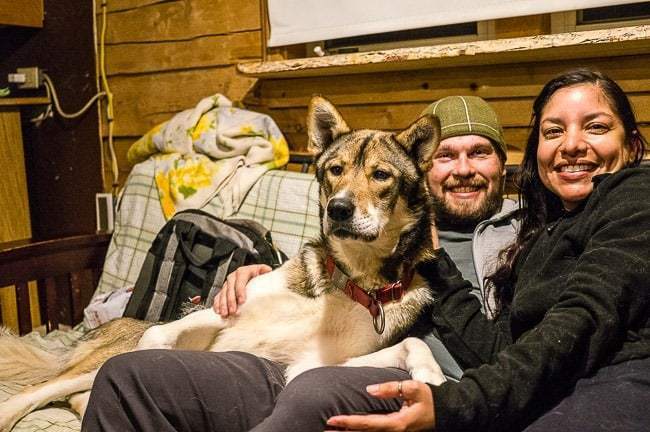 For Josh and Nita, dog mushing is a way of life, and they have created a really special place where they share their passion, as well as their dogs passion for mushing. 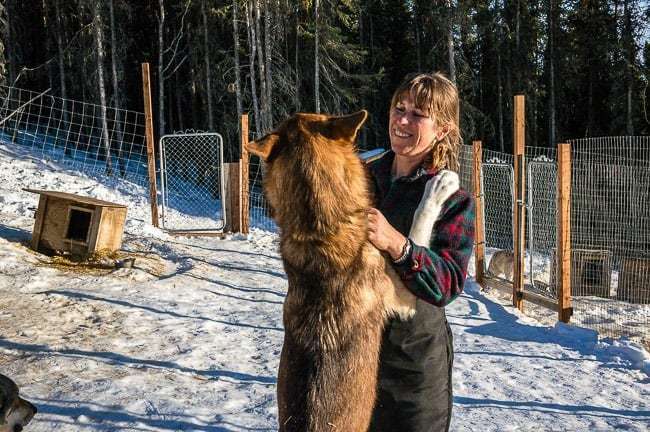 Nita introduced us to Claudia, an Aussie, who was volunteering with Sirius Sled Dogs and helping out in order to learn to mush her own team, and she took us under her wing and showed us around the property. There were half a dozen dogs in the house, lounging around, and another dozen or two out in the dog kennels behind the property. Soon we were handed some impermeable overalls and suited up so we could take our first spin around the property. 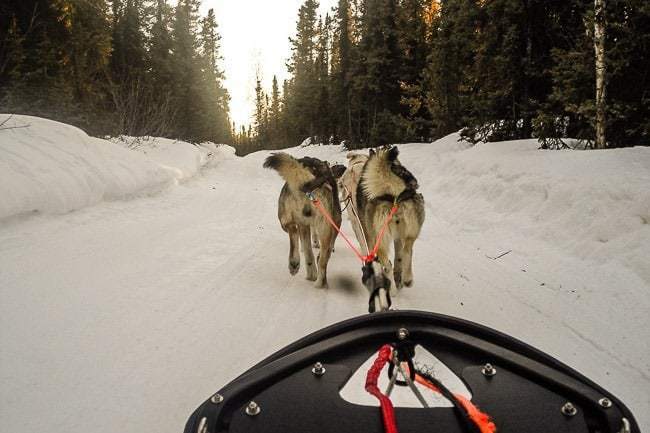 In the meantime, Claudia gathered up the dogs for the team and got them connected to the sled. You might initially think that the dogs are doing some grueling work that they don’t really want to do — I sort of had that impression when we watched the dog sled races a few days prior) — but as soon as you see the team being put together on the line, and you can see and feel the excitement of the dogs as they are absolutely aching to run! Claudia gave us a few tips, Andrea jumped in the basket up front and I hopped on the rails behind Claudia. And I flew right off the back off the rails and into the snow. She brought the sled to a halt and I ran to catch up with them. That first turn was a doozy. We took off on more level terrain and got the hang of the balance on the back and the whole experience was quite peaceful and surreal. 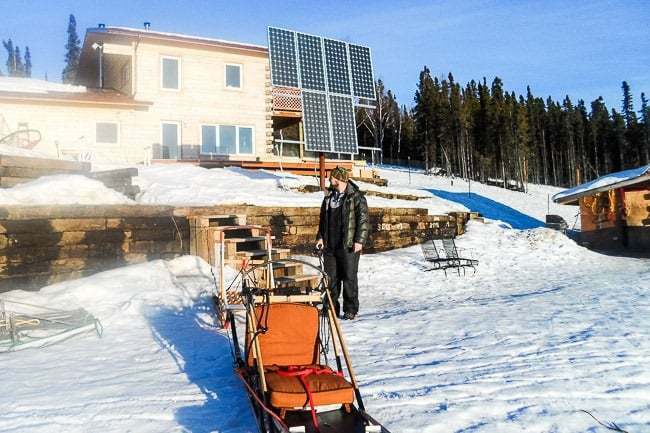 Riding on the rails of the dog sled as we flew through the snow was incredible. We looped through the property and made it back to the house where we unhooked the team and headed back inside to warm up. 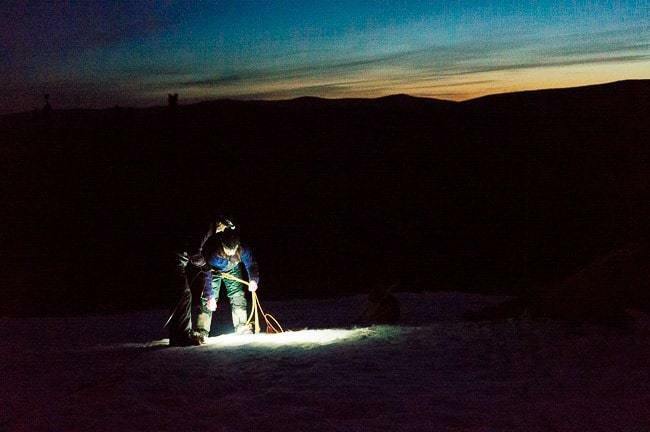 A little later on we got to take another ride during the dark of night, which was a whole new experience as the aurora borealis began to appear overhead. It was quite a bit colder this time, but we managed just fine with the warm down jackets, hats, and gloves we brought, along with the gear that Nita loaned us. 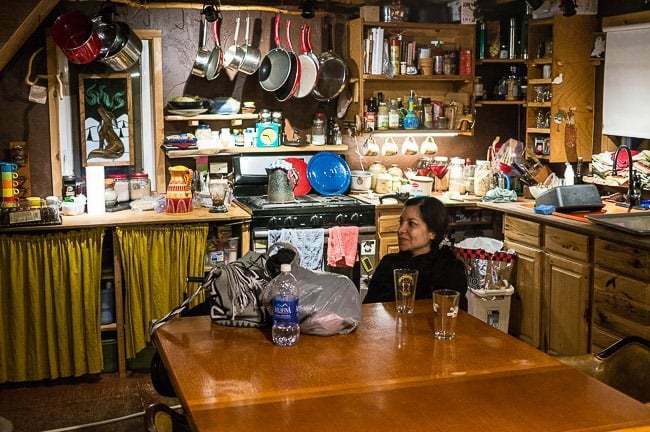 We headed back into the warmth of the house and hung out waiting for the Northern Lights to really put on a show. Nita surprised everyone by serving up cake — it was the birthday of one of the other guests. Unfortunately the Northern Lights, didn’t put on a great show that night, but it is an ideal spot to see them from, fairly well removed from the lights of the city, and with a great vantage point. 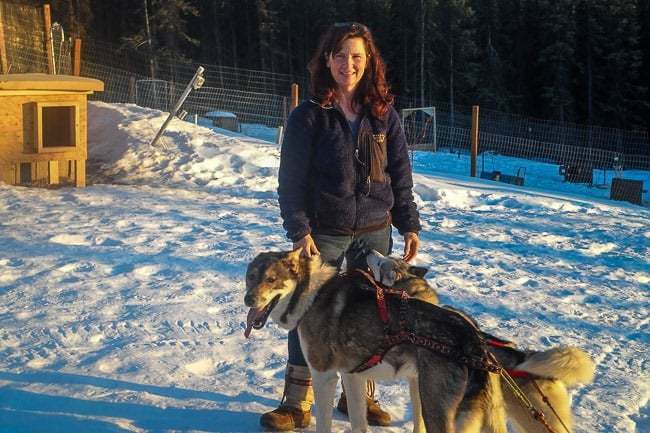 All-in-all, this Alaska dog sledding experience exceeded my expectations, mostly thanks to the generous hospitality and friendly atmosphere at Sirius Sled Dogs. 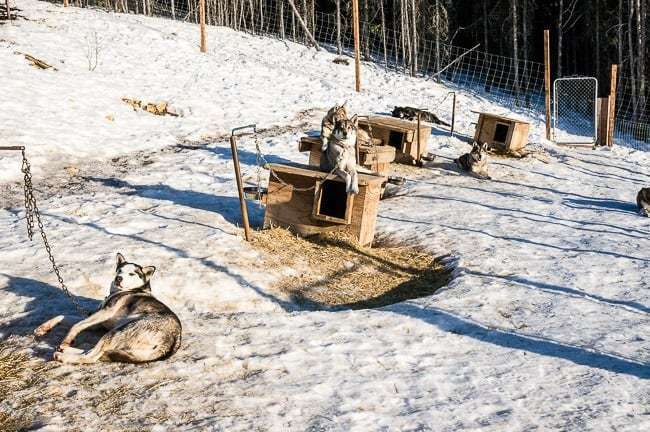 If you plan to visit Fairbanks Alaska in the winter, then you absolutely should add Alaska dog sledding to your list of things to do and then pay a visit to Nita and the team at Sirius Sled Dogs. You won’t regret it. 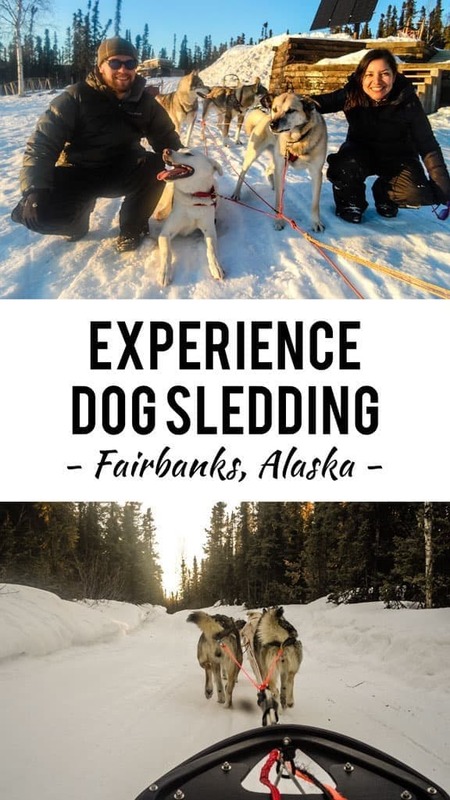 Don’t miss out on my other article about more things to do in Fairbanks Alaska this winter. 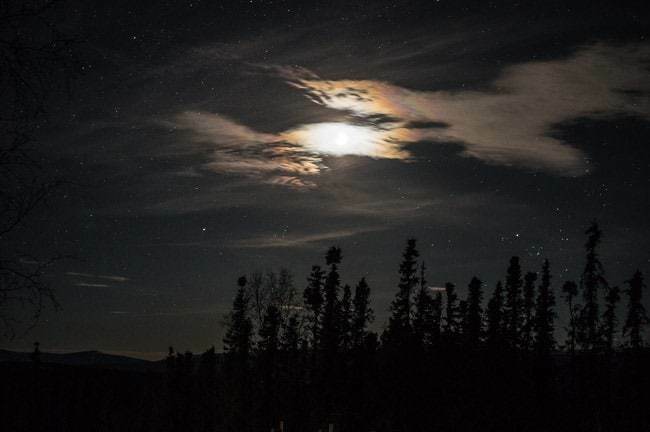 Traveling to Fairbanks Alaska on your next trip? Book the perfect room on Booking.com today!